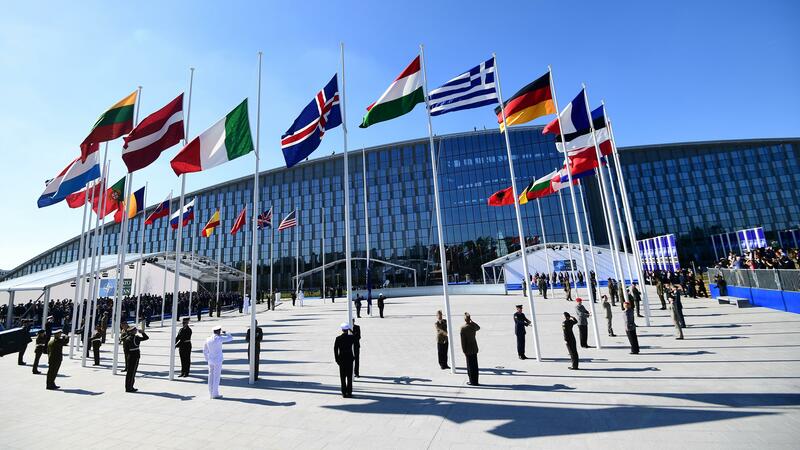 Just before President Trump arrived in Brussels for the North Atlantic Treaty Organization summit, NATO released new figures showing that the majority of its members are contributing more to the alliance this year than in 2017. President Trump has persistently criticized NATO allies and called upon them to spend more on defense. Twenty member states have voted to allocate more to defense spending this year. Smaller countries like Luxembourg, Slovenia, Belgium, and Croatia have made the largest changes in defense funding in the last year. While the majority of the members are spending more, only five of them are meeting the agreed upon threshold of spending two percent of their GDP on defense. The United States, Greece, Estonia, United Kingdom, and Latvia are meeting the two-percent goal this year. Latvia is the newest addition to this group, having increased its spending from 1.75 to 2.00 percent of GDP in the past year. The countries President Trump has publicly criticized and tweeted about have not increased their defense spending percentages. The United Kingdom and Canada are projected to spend less on defense this year, and Germany is expected to keep its expenditure level at 1.24 percent of GDP. Before he left Tuesday for a trip to Europe that will include a summit with Russian President Vladimir Putin and a visit to the U.K., Mr. Trump tweeted, "First meeting - NATO. The U.S. is spending many times more than any other country in order to protect them. Not fair to the U.S. taxpayer. On top of that we lose $151 Billion on Trade with the European Union. Charge us big Tariffs (& Barriers)!" He also tweeted, "NATO countries must pay MORE, the United States must pay LESS. Very unfair!" Member states are bracing themselves for more from the president in person. EU President Donald Tusk sent the president a tweet, defending NATO's member states. "Dear @realDonaldTrump. US doesn't have and won't have a better ally than EU. We spend on defense much more than Russia and as much as China," Tusk wrote in a pointed message to the president. "I hope you have no doubt this is an investment in our security, which cannot be said with confidence about Russian & Chinese spending :-)," he added, punctuating the tweet with a smile. According to the NATO press office, the majority of the members plan to meet the two-percent goal by 2024, the target date for all countries to reach the benchmark. Members signed on to the two percent benchmark in 2014 at the NATO Summit in Wales in response to Russia's annexation of Crimea. The Wales Declaration states that members must aim to reach the two percent benchmark by the year 2024. The U.S., the largest contributor to NATO, is decreasing its contribution but is still projected to spend 3.50 percent in 2018, down from 3.57 percent over the course of the 2017 fiscal year.